For any of your domains, create the registry subsidiary NS (NS child). Server Configuration template: select a template if available, or leave the Default Settings. Administration username: write the name of the user who creates a domain, otherwise the name will automatically appear on the domain name. Network interface: Here are the IP on which the domain will be created. We choose the "NS - Name Server" and click on "Create Record of Type"
click on the button "Create". 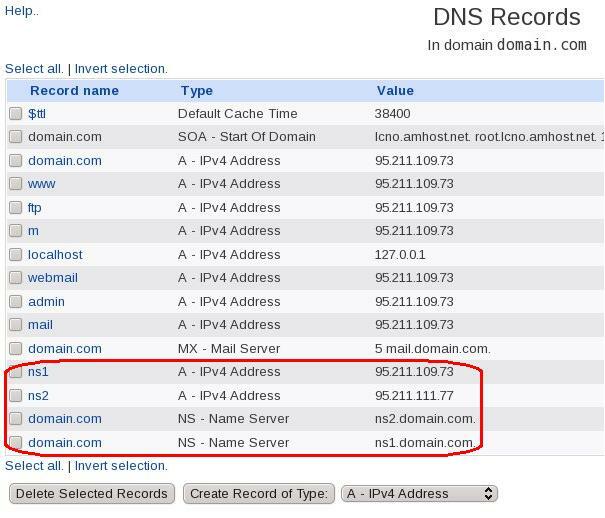 Repeat the above procedure for ns2.domain.com. We choose the "A - IPv4 Address" and click "Create Record of Type"
in Virtualmin in choosing + System Settings => Server Templates => Create a template from the default settings. We choose from the list template created domain. 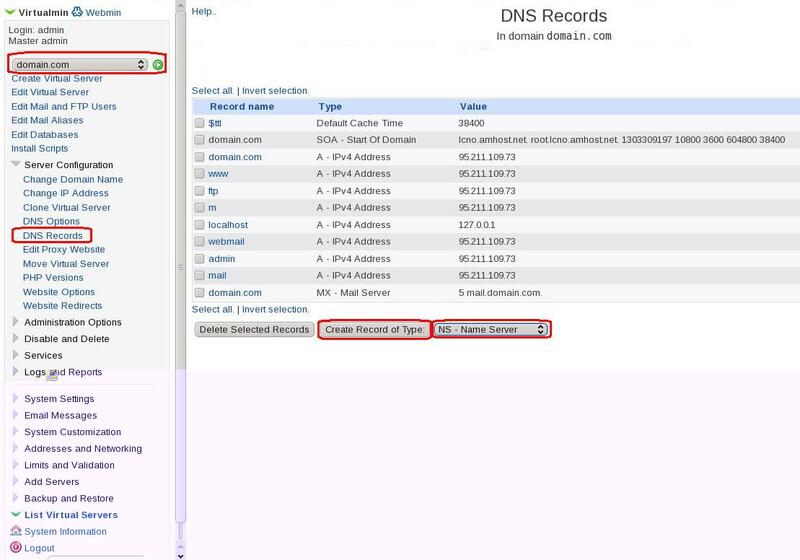 From the drop-down list Edit template section: choose BIND DNS and fills in the fields. Now when you add a new domain, these NS and will be listed automatically. Network interface: user IP on which the domain will be created. All the approaches mentioned in the main domain will be relevant to all domains for which he is listed as a Parent server.